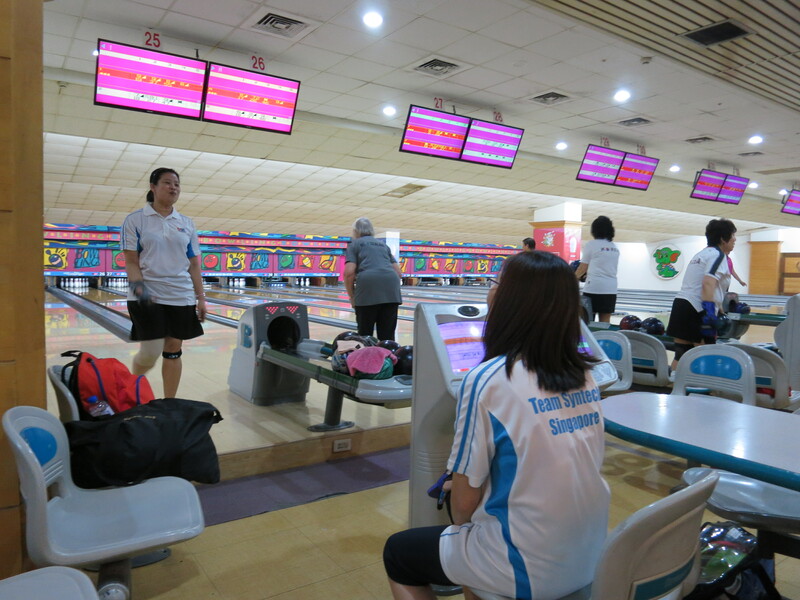 Bowling her way around the world ~ welcoming Catherine to Taiwan! 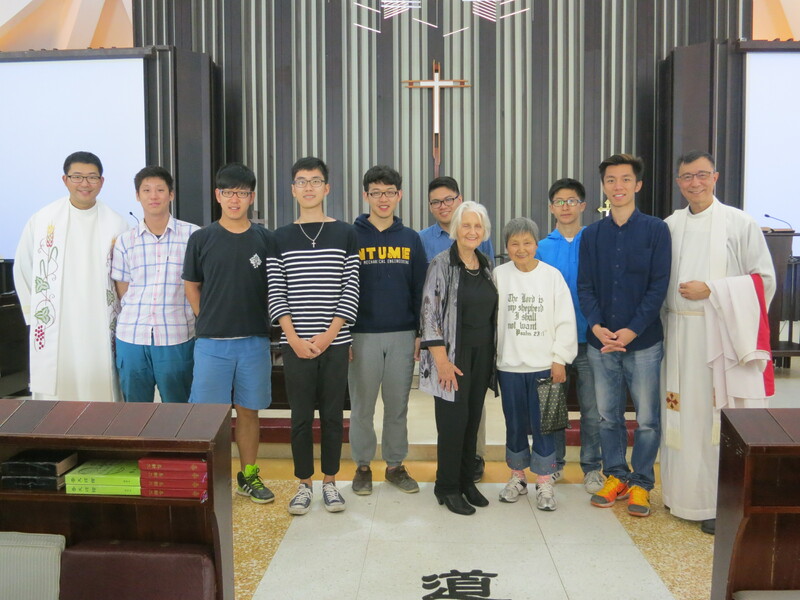 Yes, a very big big welcome to my good-friend-with-the-same-name, Catherine! 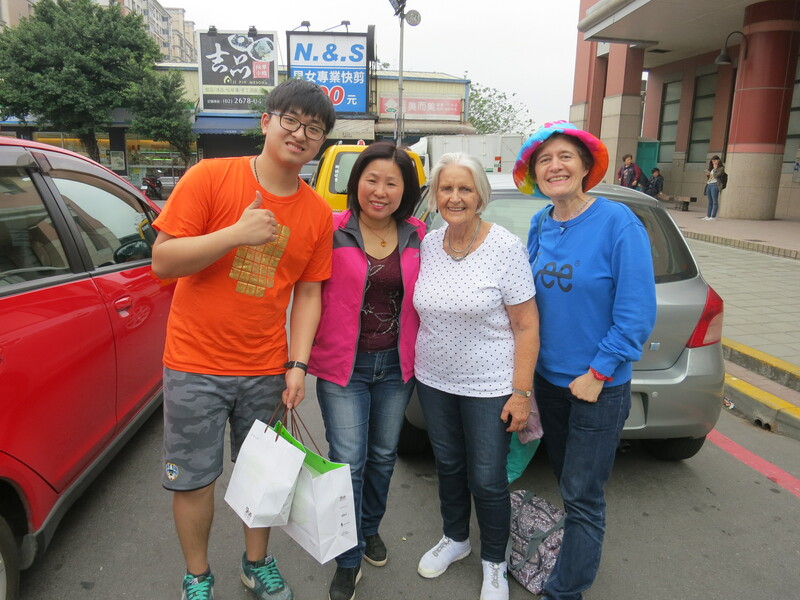 We met in Dodoma, Tanzania many years ago when she was there with her family through the New Zealand Church Mission Society NZCMS. 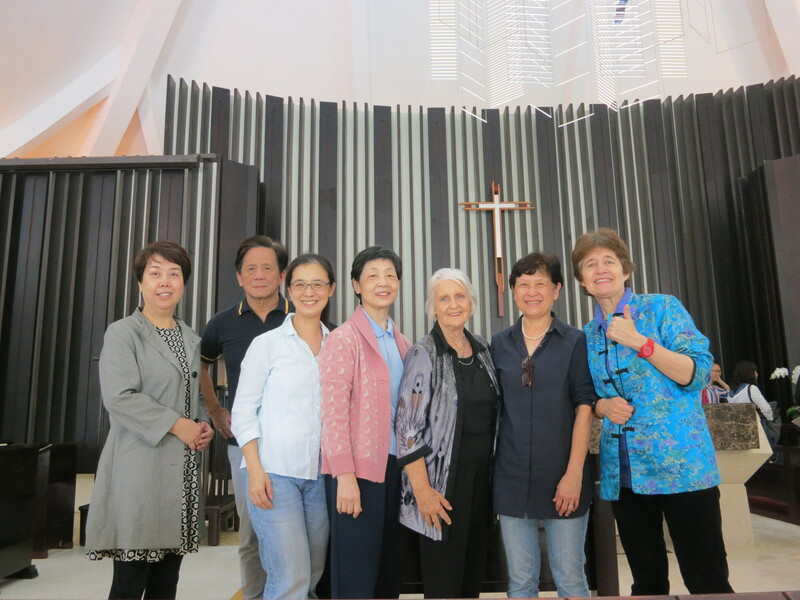 Now she’s retired in Tauranga, New Zealand and a member of Holy Trinity Church ~ where there’s lots of outreach among the Chinese community, so the first time Catherine came to Taiwan 6 years ago was actually with her Taiwan friend Shu, who took her to visit lots of wonderful places in Taiwan, and she spent a few days then with me too. 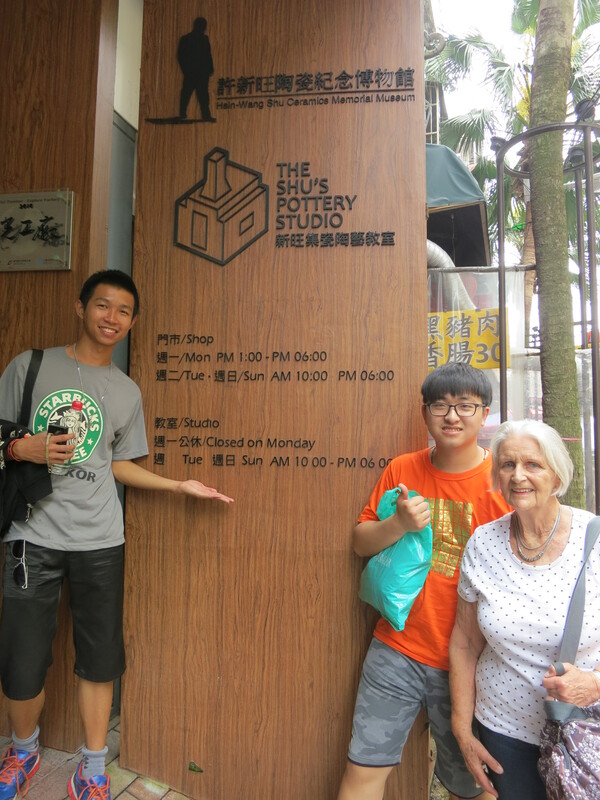 Ah, great memories! 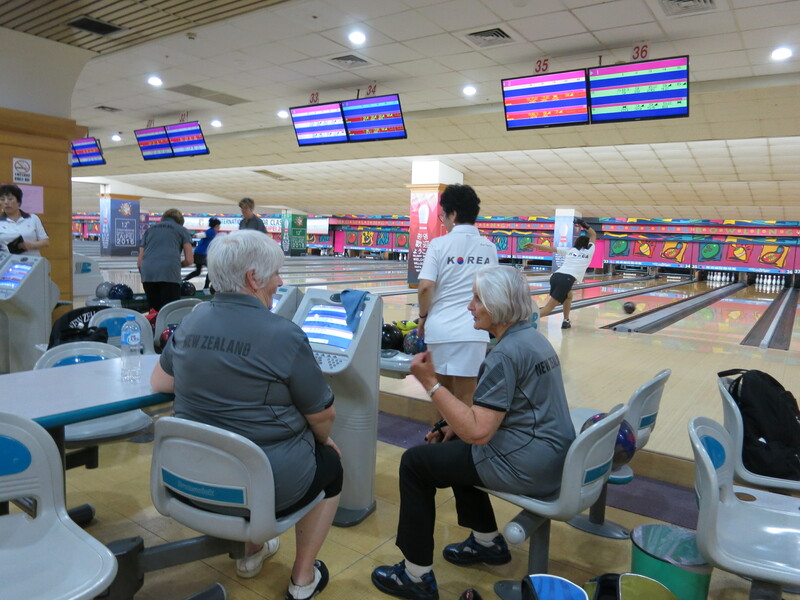 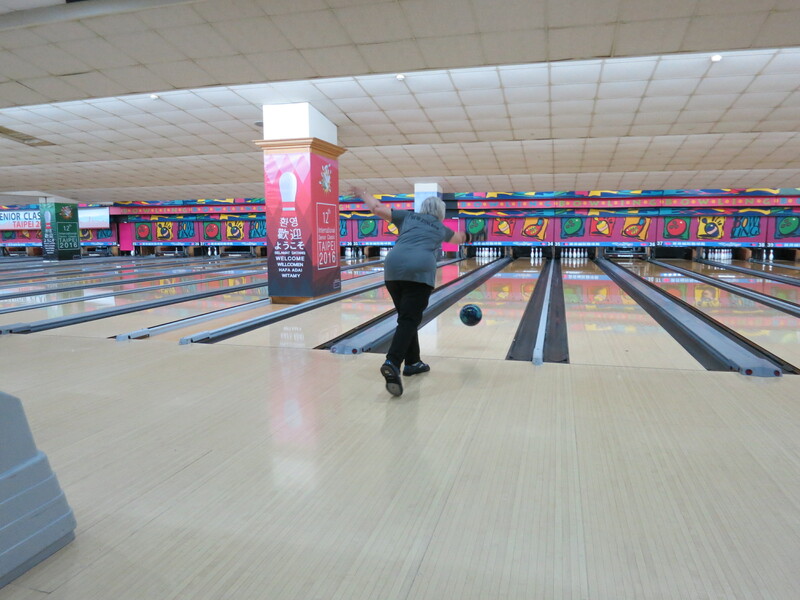 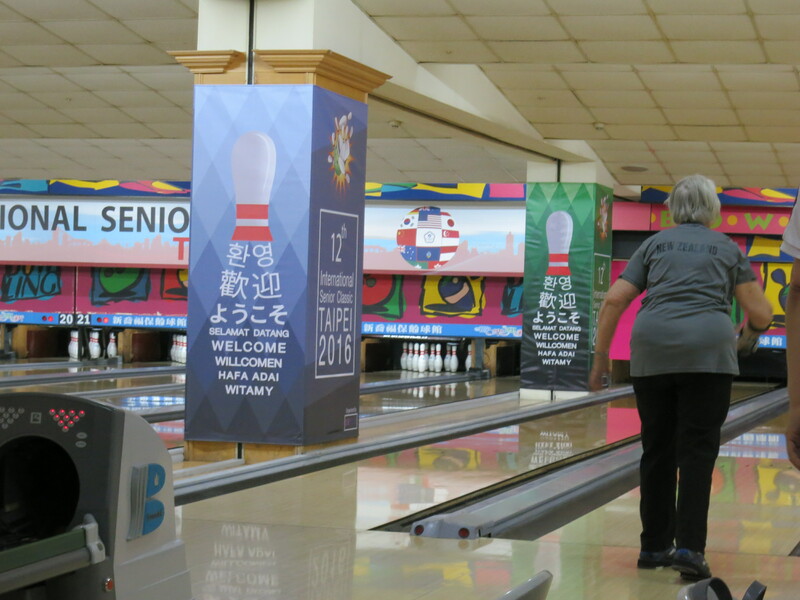 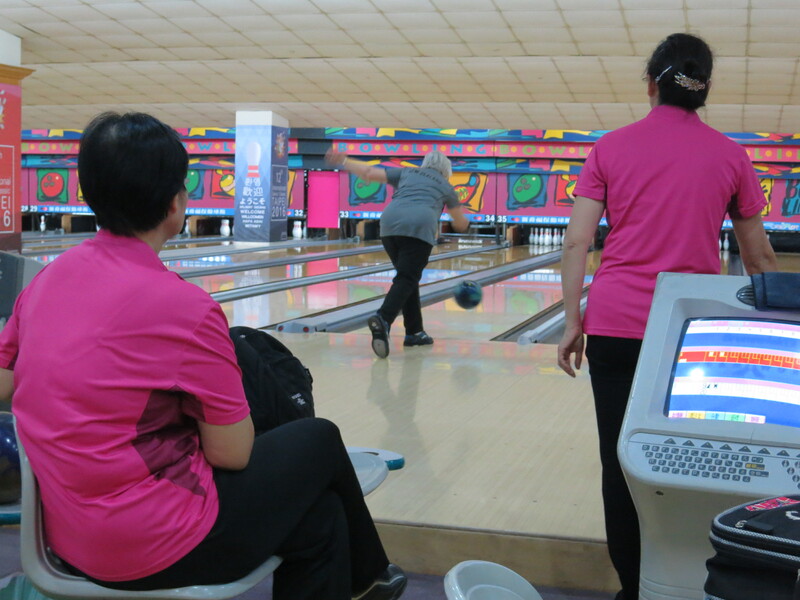 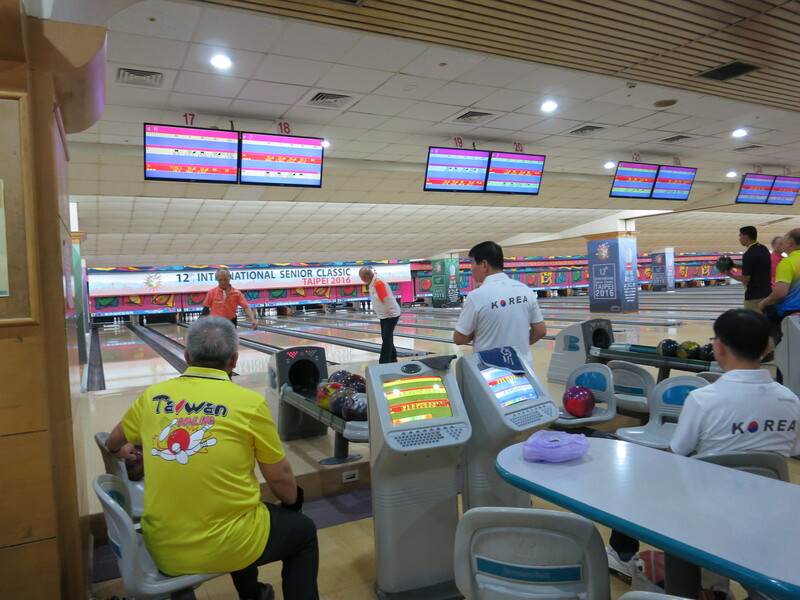 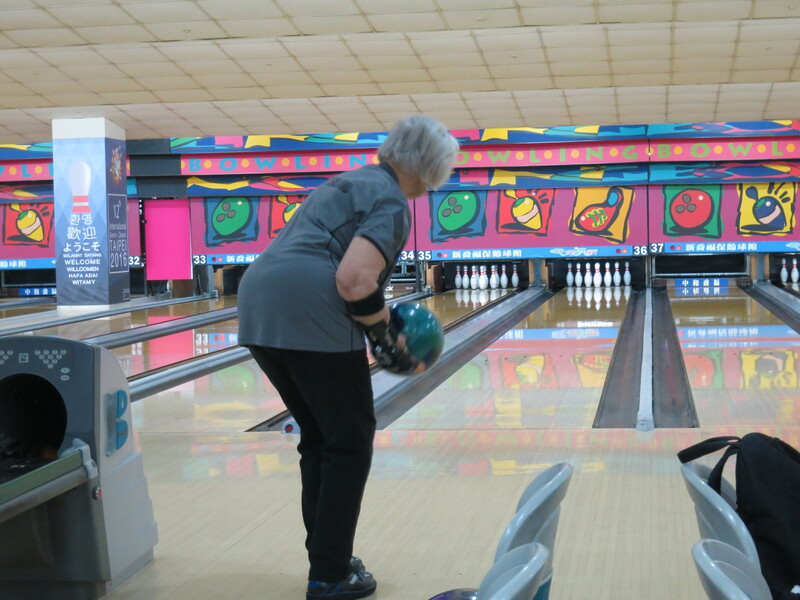 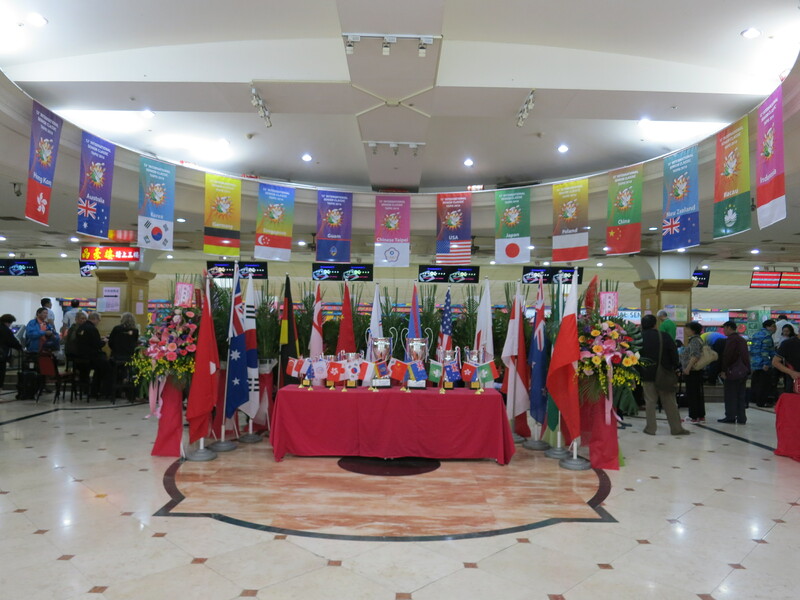 Now Catherine’s back in Taiwan for her second visit, and at the grand age of 82 this time playing for New Zealand in an International Senior Ten-Pin Bowling Tournament which was held in Taipei all last week, for 250 people from 14 different countries. 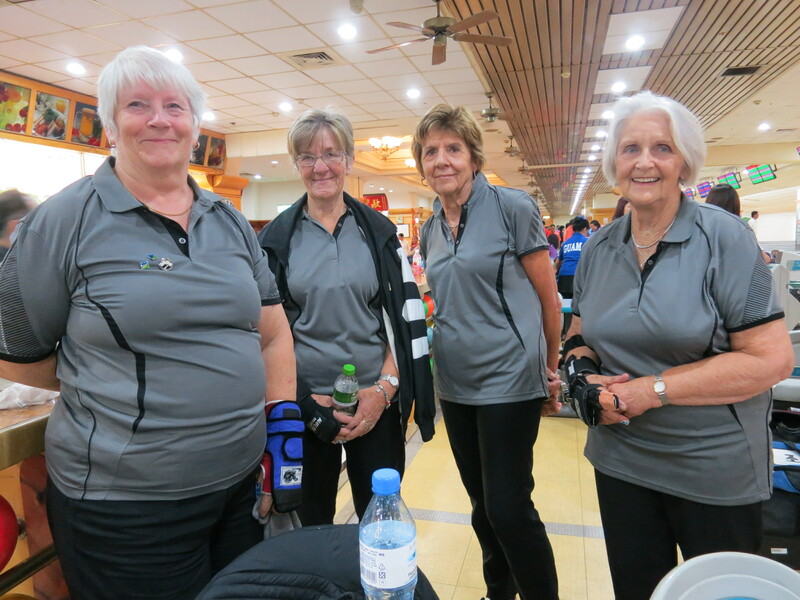 Amazing what she’s achieved in her retirement, and Catherine was the oldest female player in the tournament ~ she just is one incredible lady! 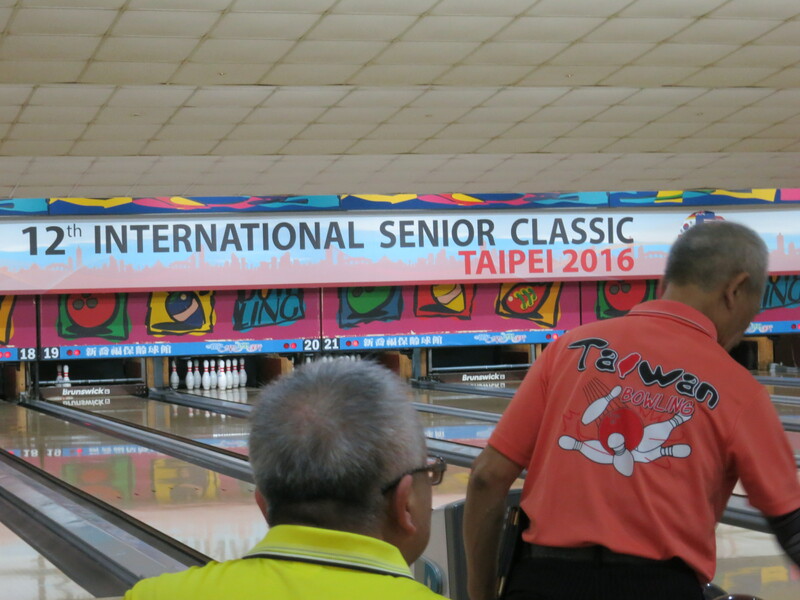 I went down to the tournament on Tuesday last week to check it all out…. 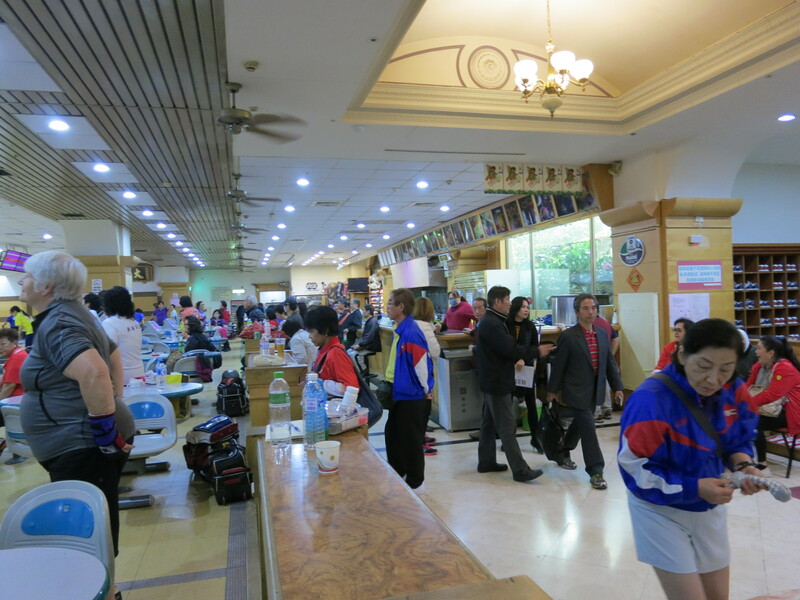 Now the tournament’s over, and Catherine’s stayed on in Taiwan to visit me for 5 days – including my birthday and 2 extra days off mainly for Tomb-Sweeping Festival weekend. 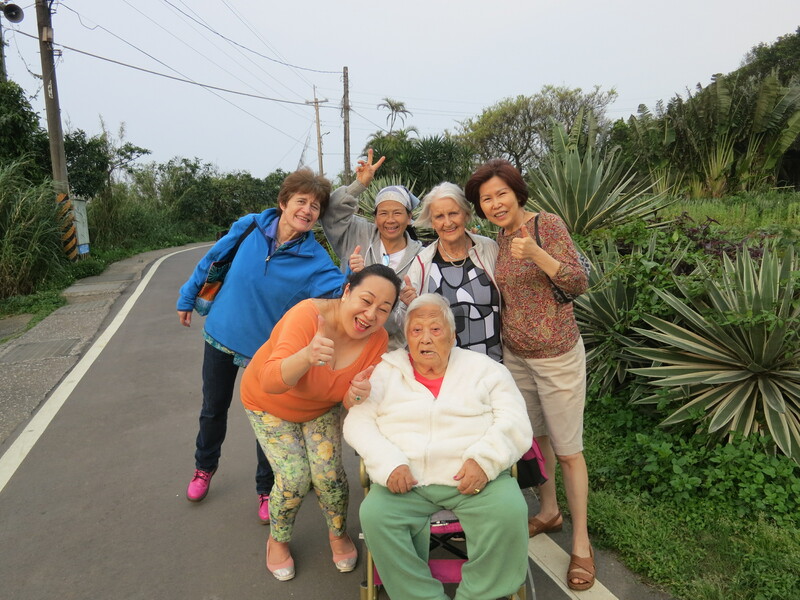 Everywhere we’ve gone and everyone we’ve met are astounded ~ after all, there’s not many people quite so active at 82! 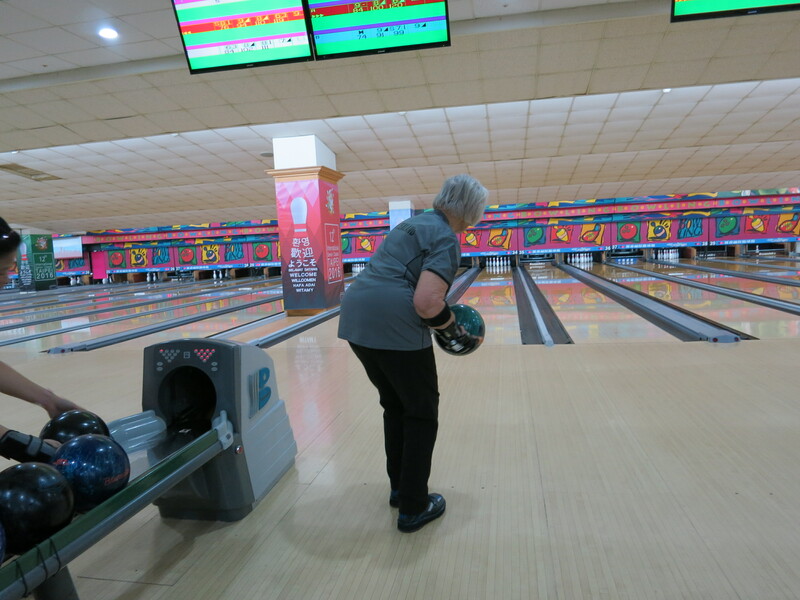 So, we’ve been for tea-drinking and ten-pin bowling conversation with Bishop Lai – who has his own bowling shoes and special bowling ball, and we’ve been to church and outings and meals all over – ever grateful to David Tan for driving us all around Taipei, meeting his friends and family, including his sister Janet for dinner and of course meeting the family horses! 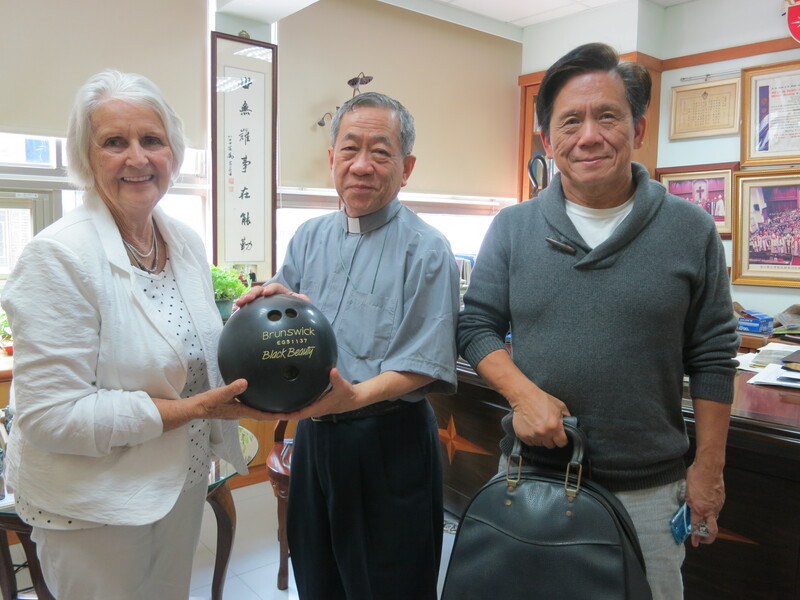 Also Victor and his lovely parents Rev. 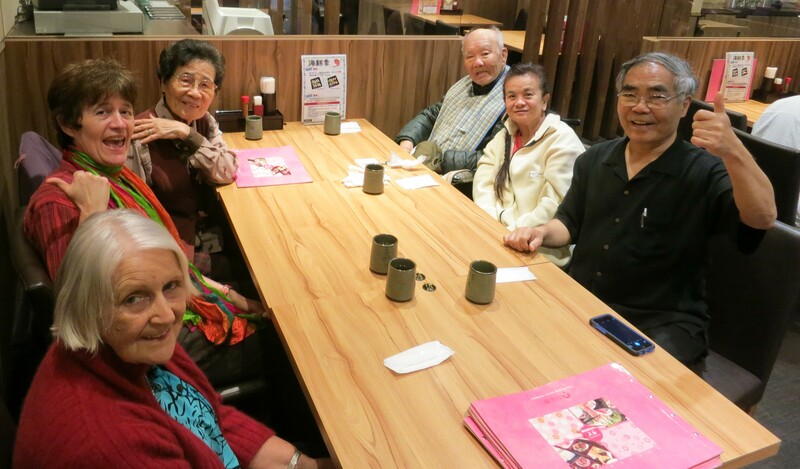 and Mrs. Hsu for a very yummy Japanese lunch today. 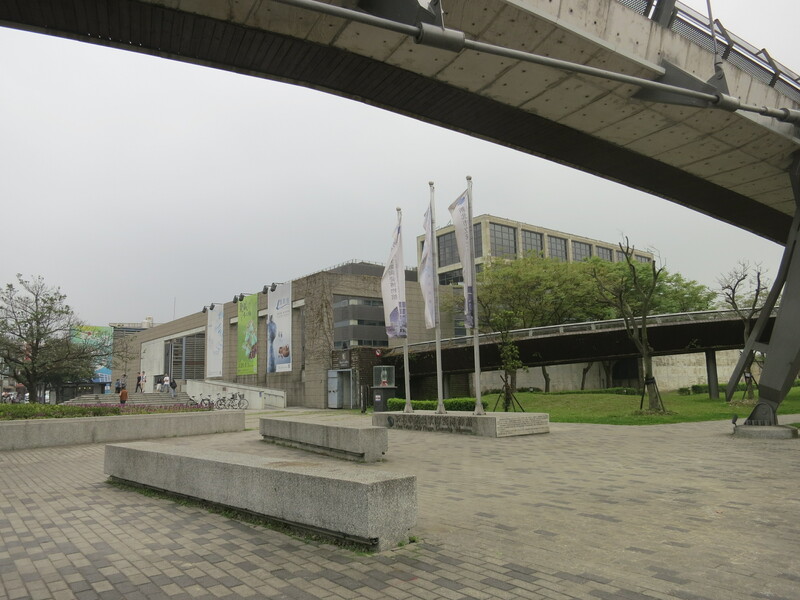 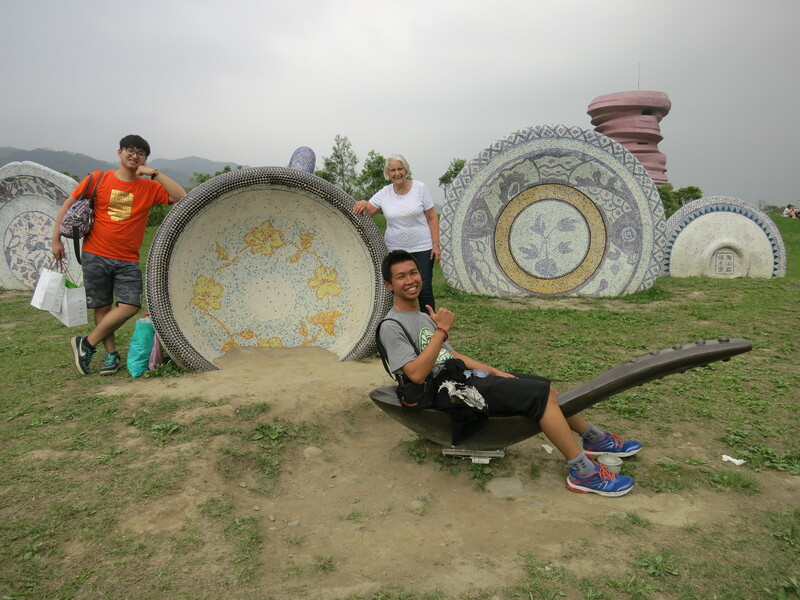 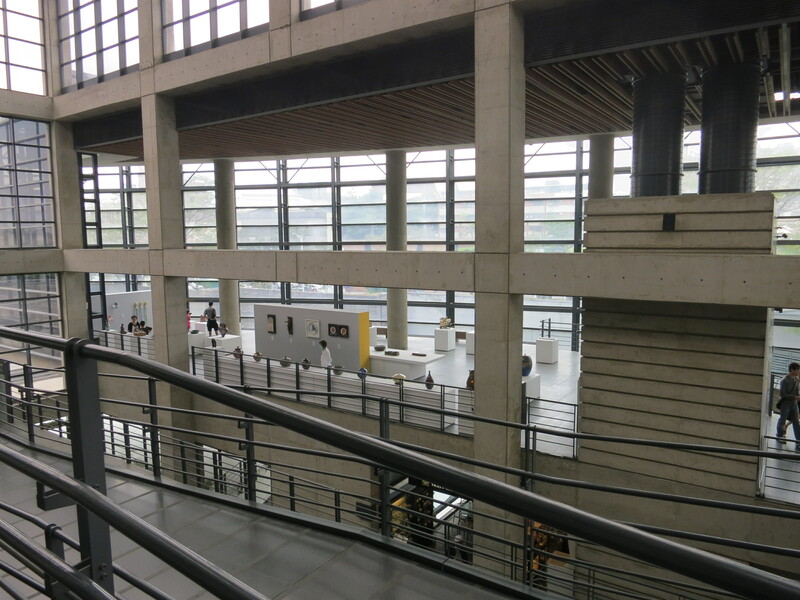 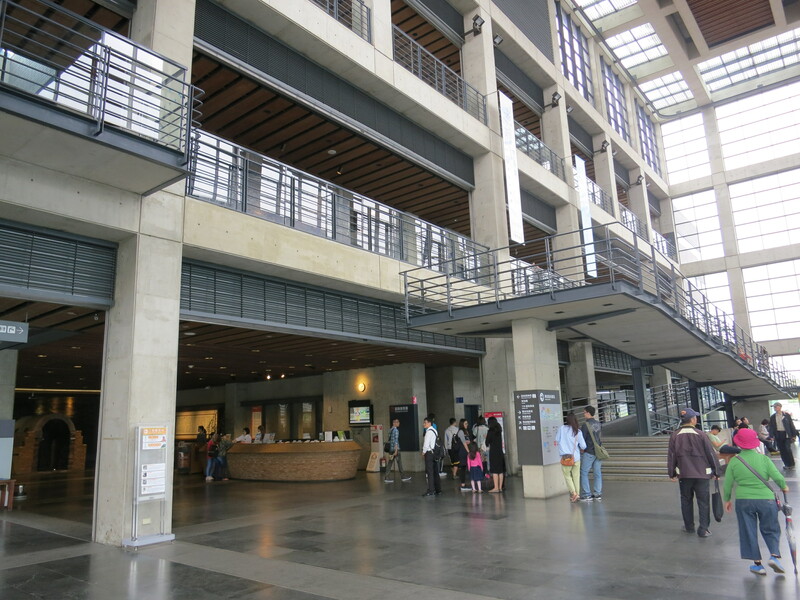 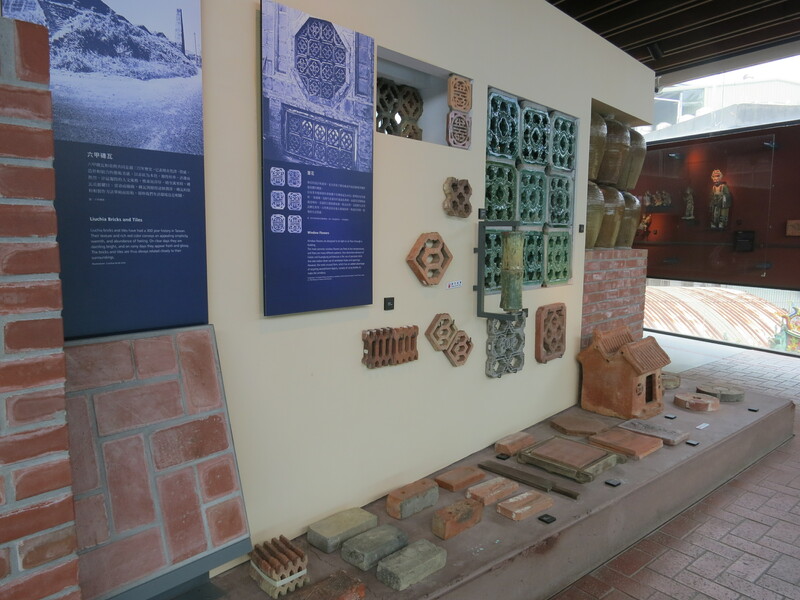 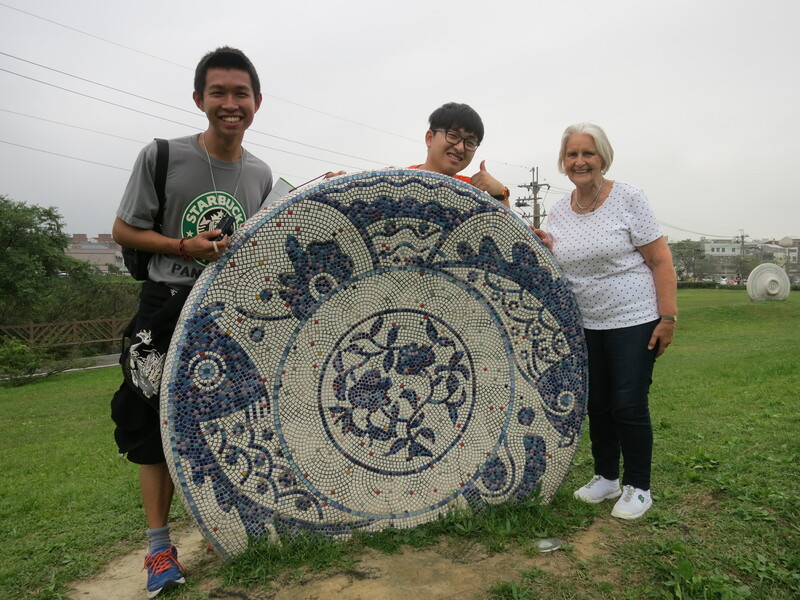 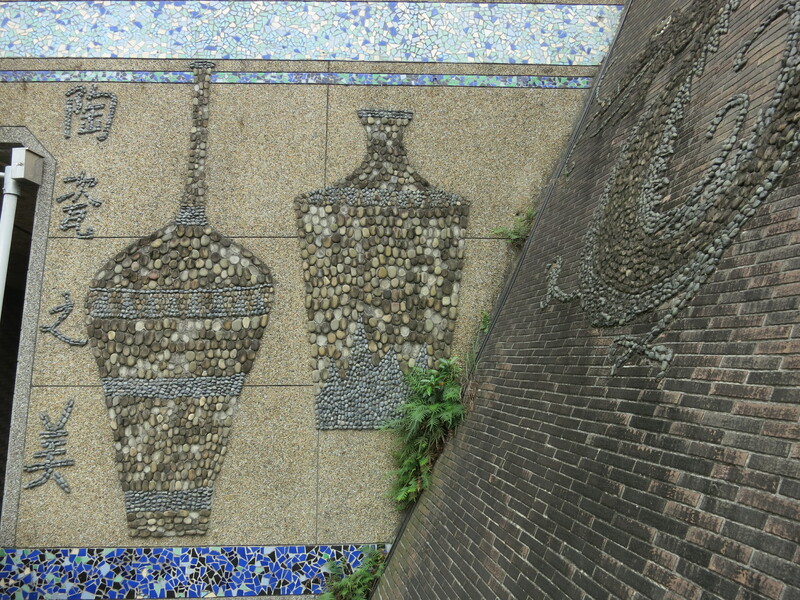 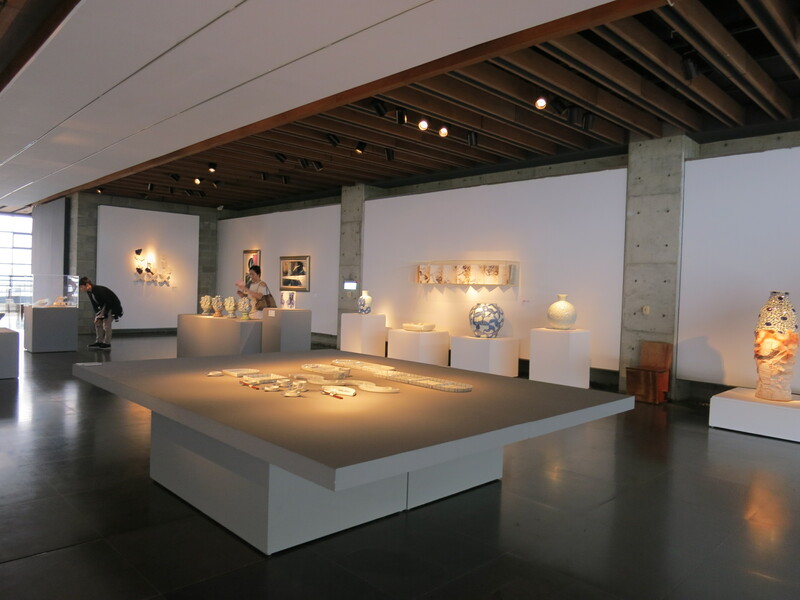 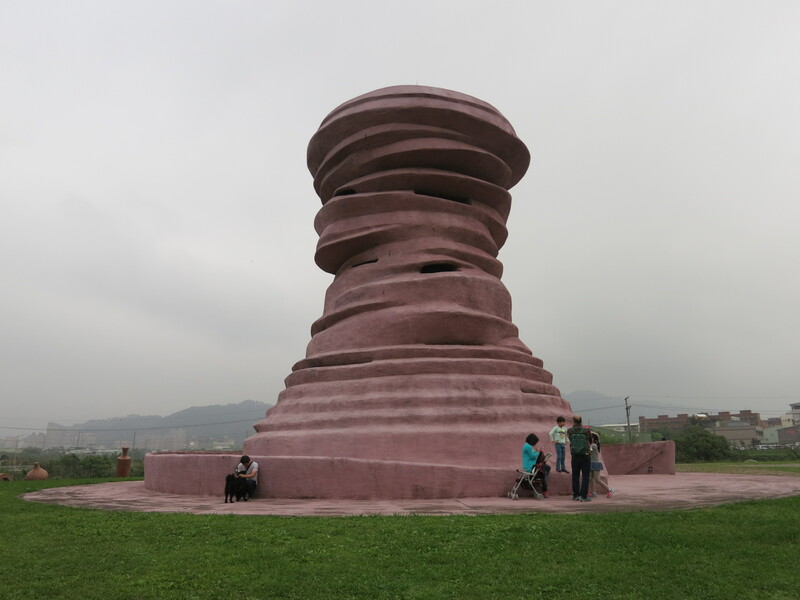 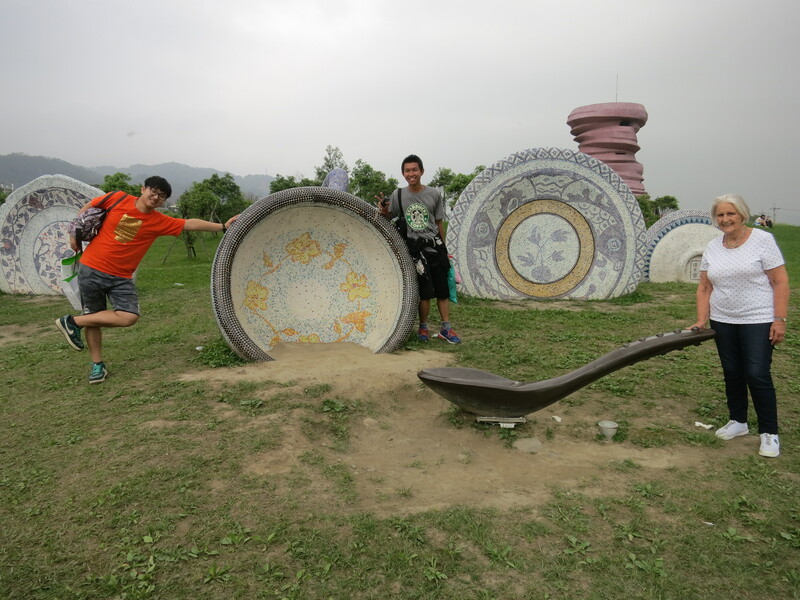 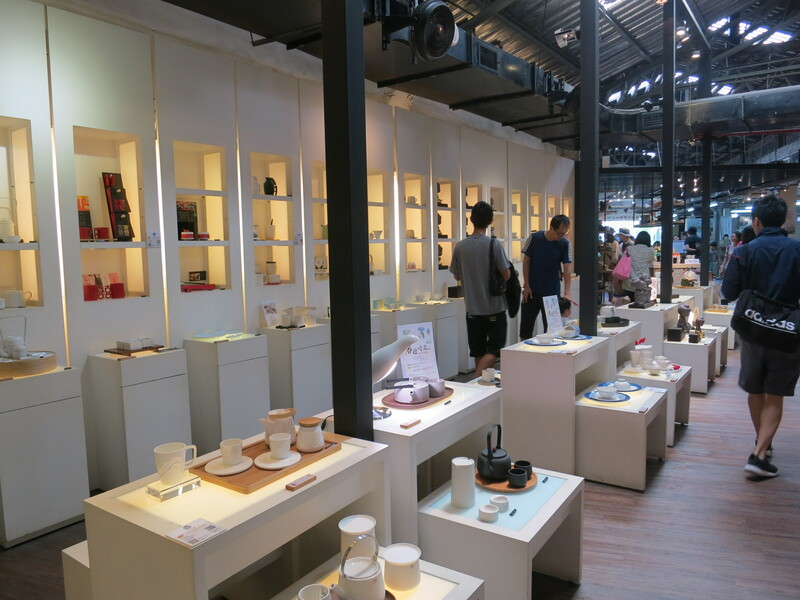 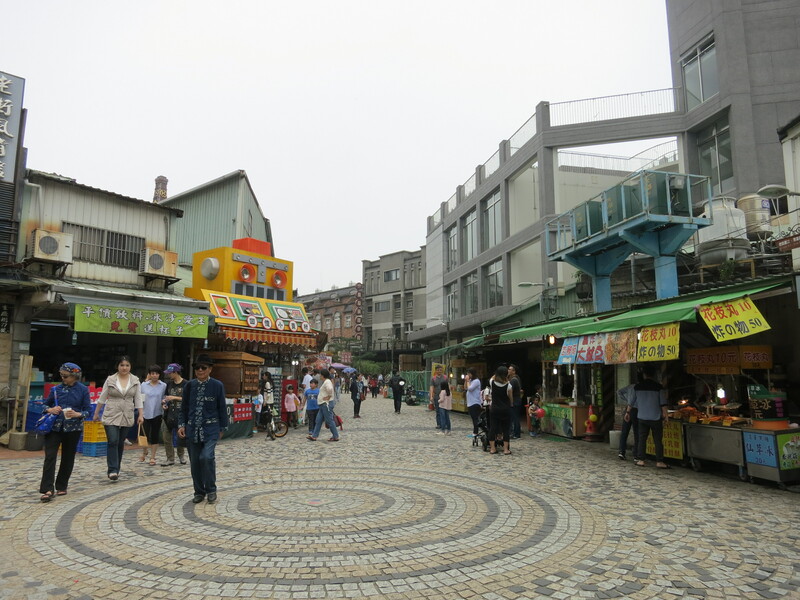 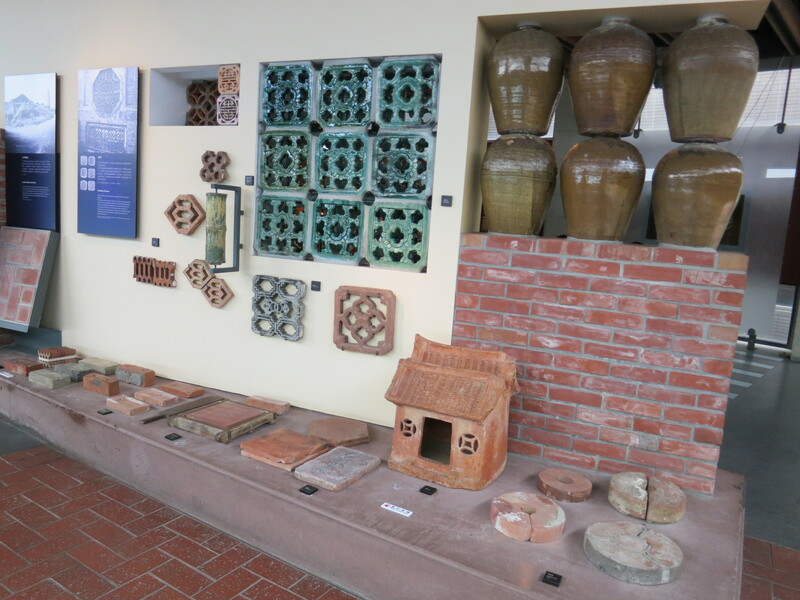 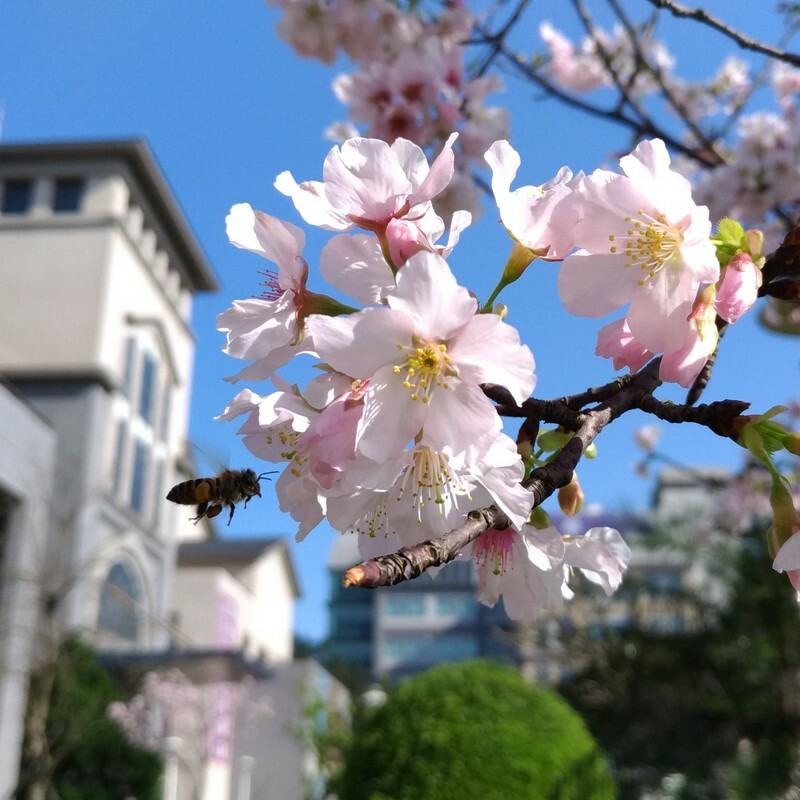 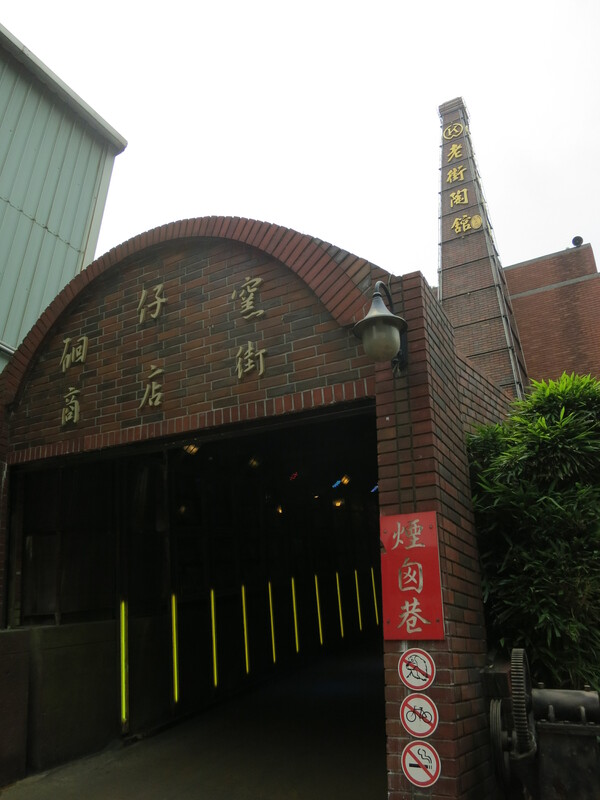 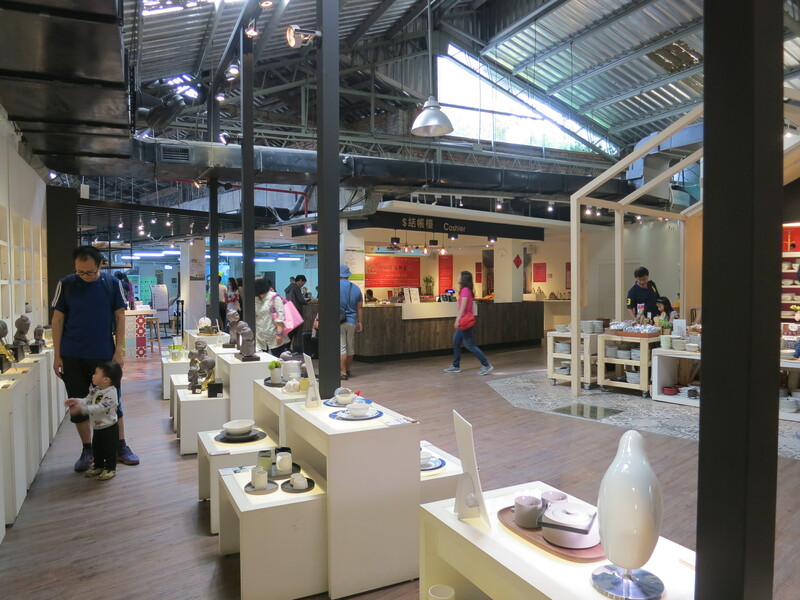 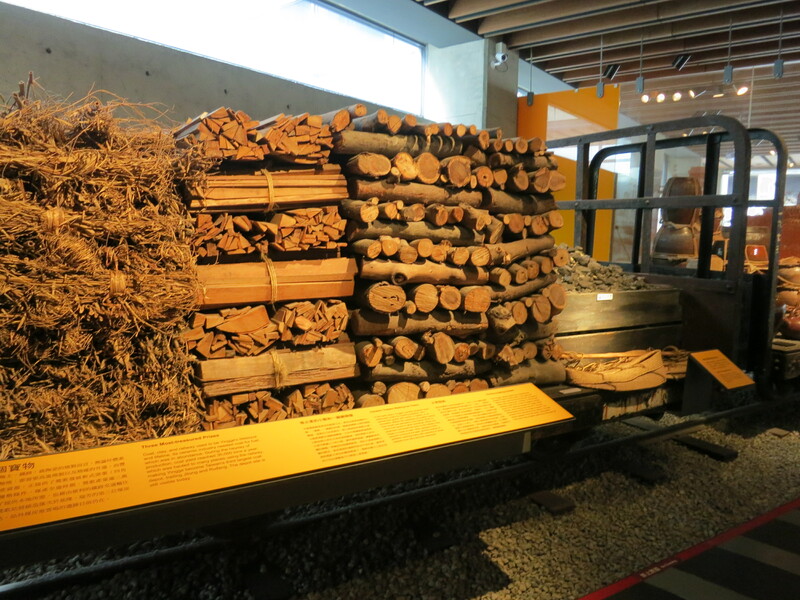 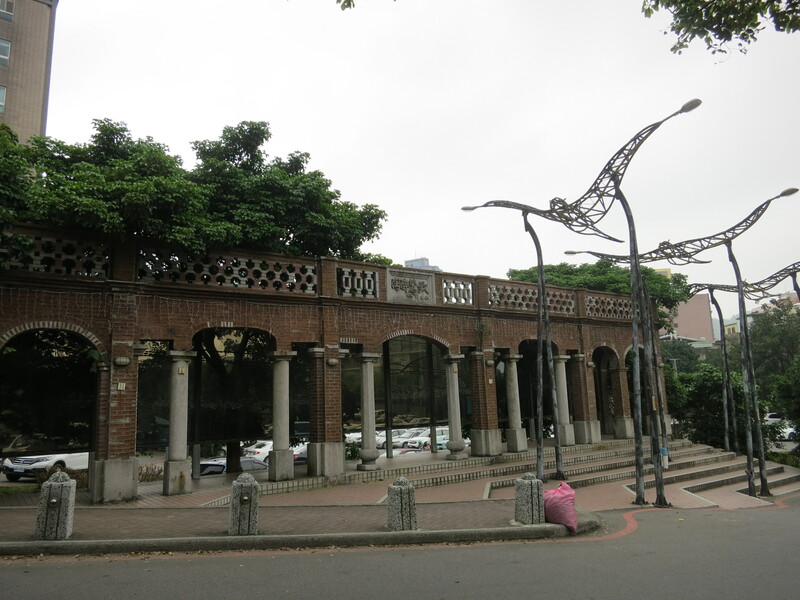 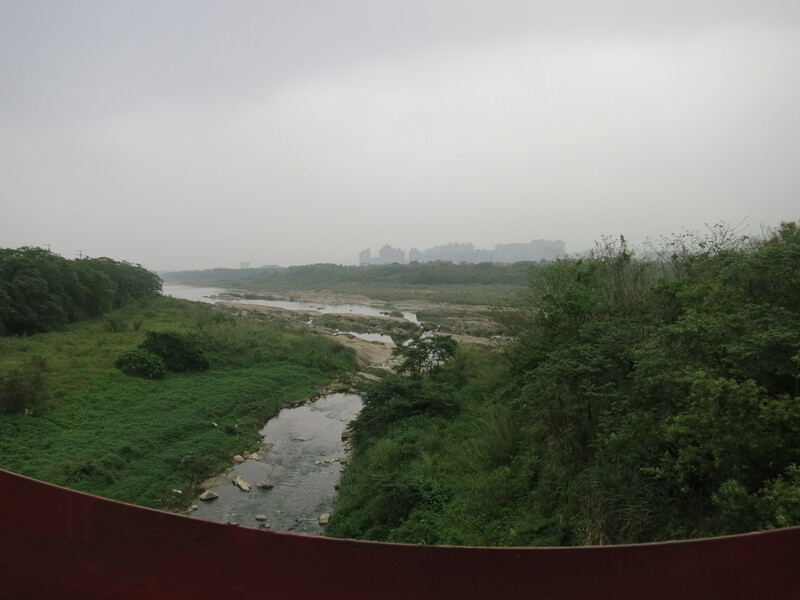 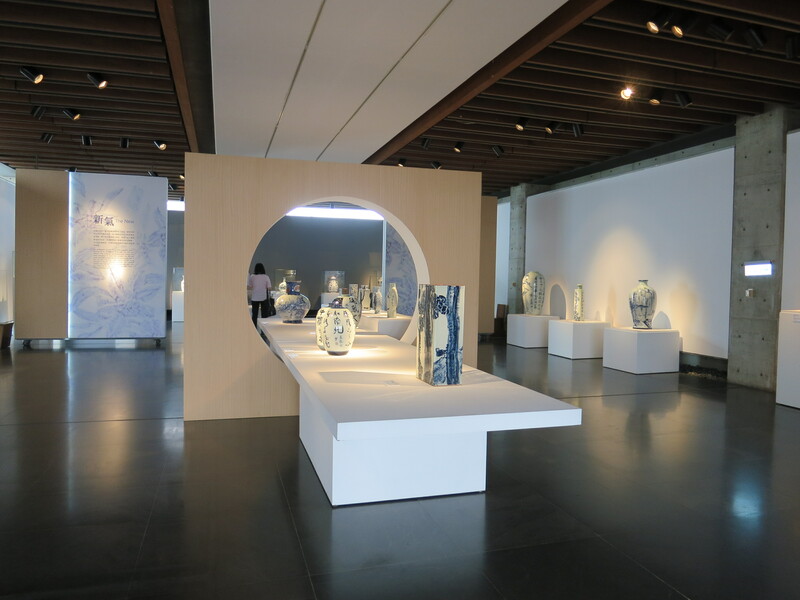 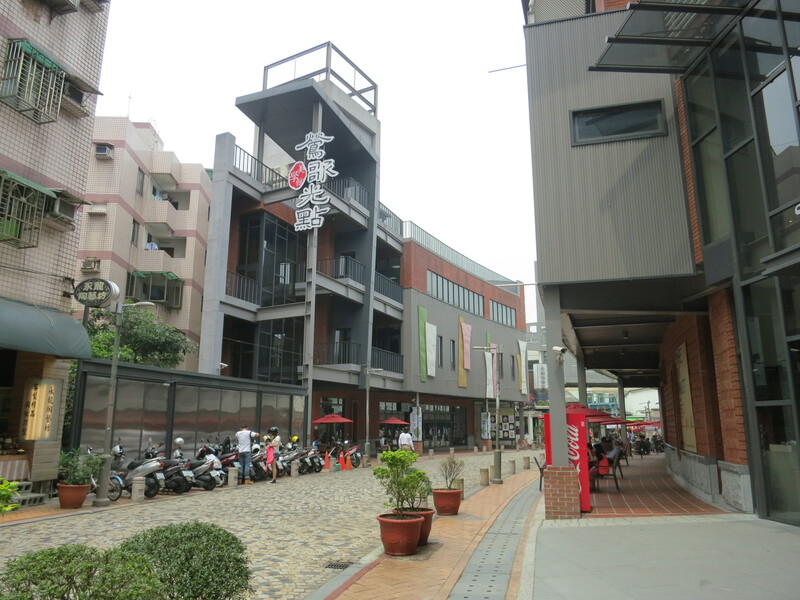 Yesterday we went to the famous ceramics town of Yingge, about 30 minutes by train south of Taipei to visit all the pottery places, ceramic museum and park. 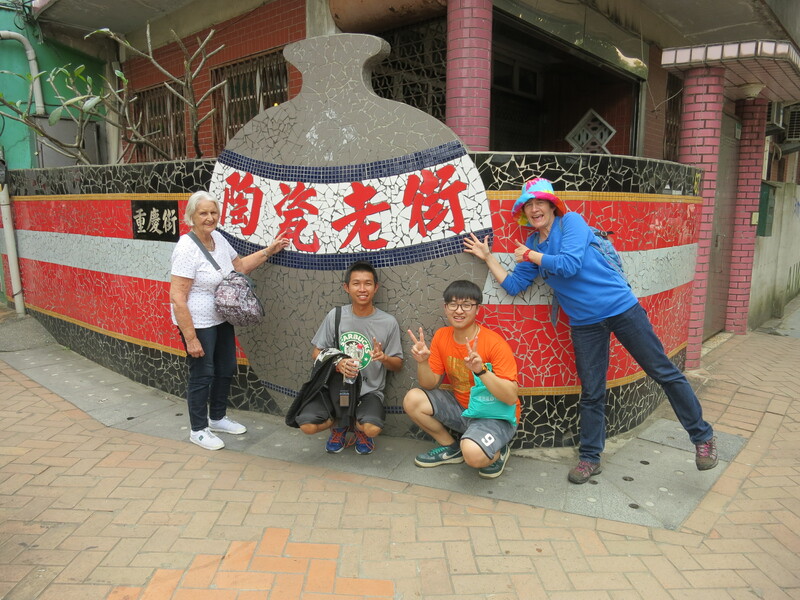 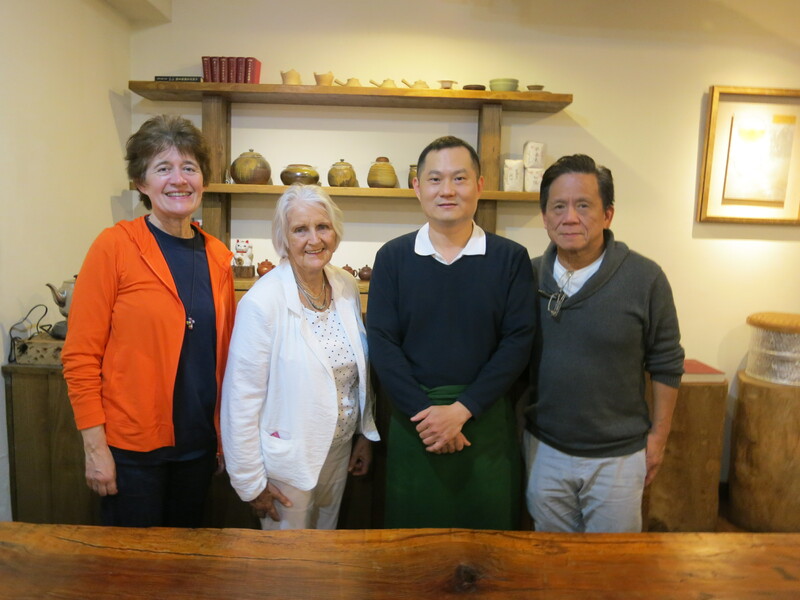 Two of our students, Mark – who lives in Yingge, and Calvin – from Malaysia – took us around the town, carried all our bags and purchases, and gave a great guided tour ~ with frequent stops for coffee, tea, cake – and noodles, and Mark’s mother even turned up at the end to drive us to the station! 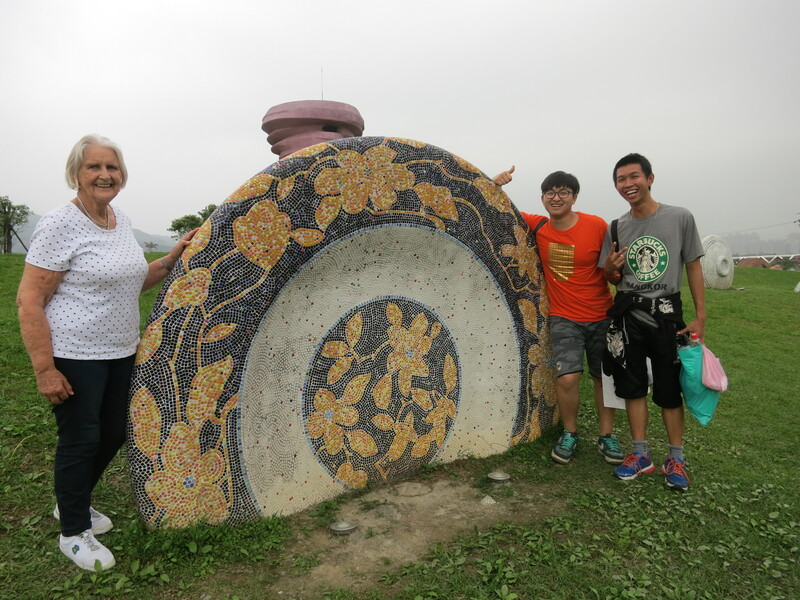 The weather was grey, but, ah, it was such a fun day! 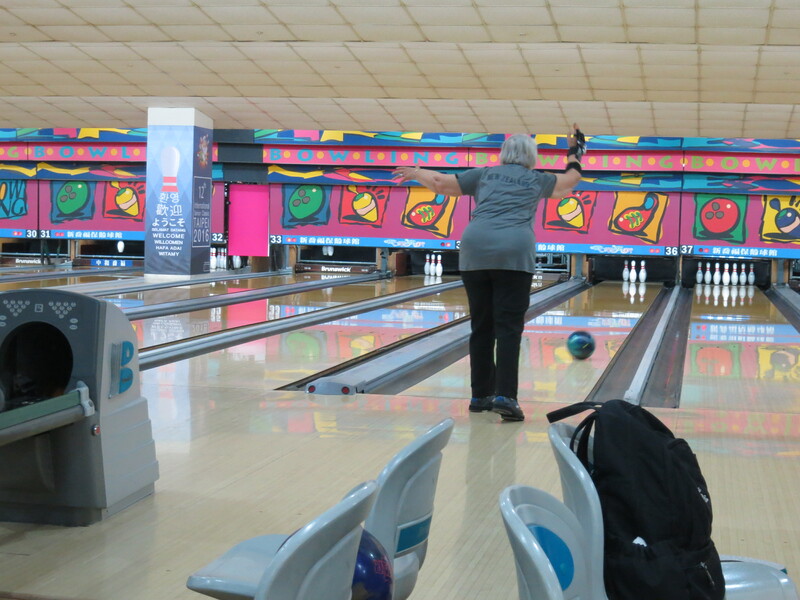 Catherine leaves tomorrow, all set for another Ten-Pin Bowling Tournament in Auckland. 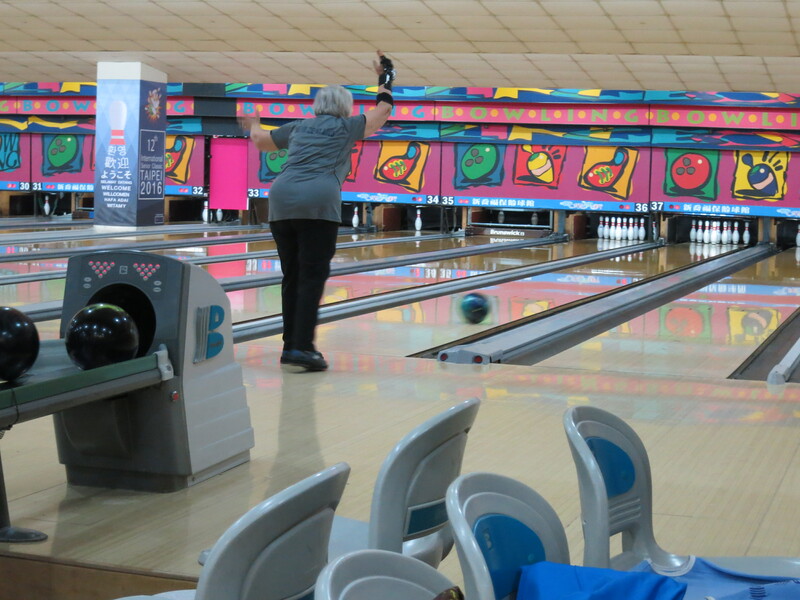 Traveling around the world with 2 bowling balls is not exactly traveling light, ha ha, but we’ve had such a good time! 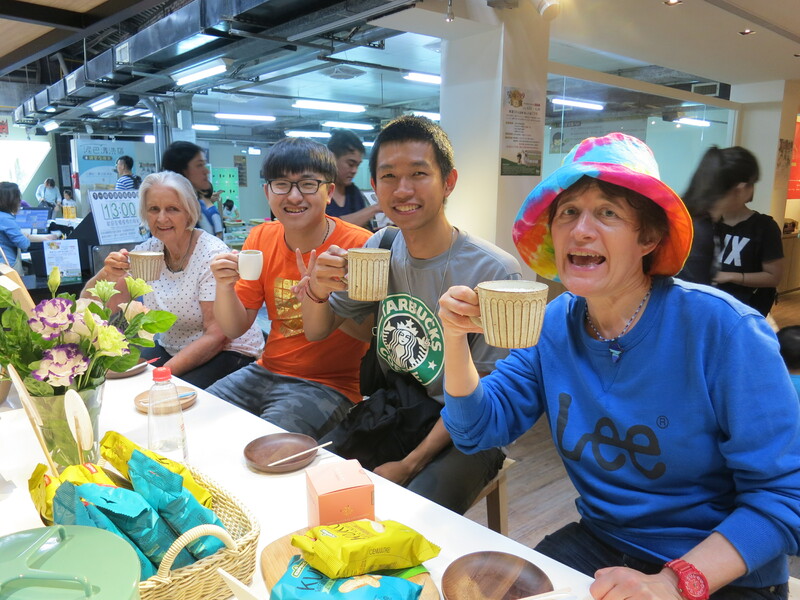 Thanks for coming Catherine, for being such a great inspiration to us all, and for all the fun we’ve had ~ YES! 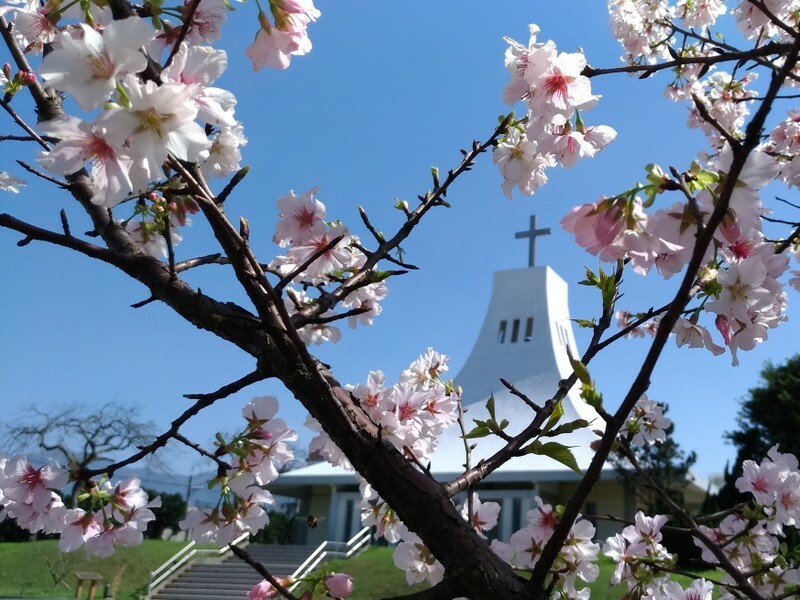 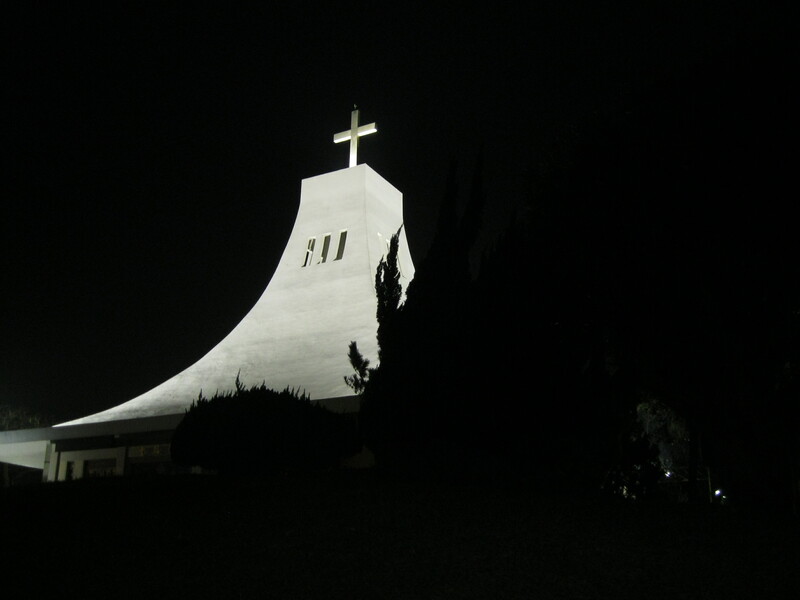 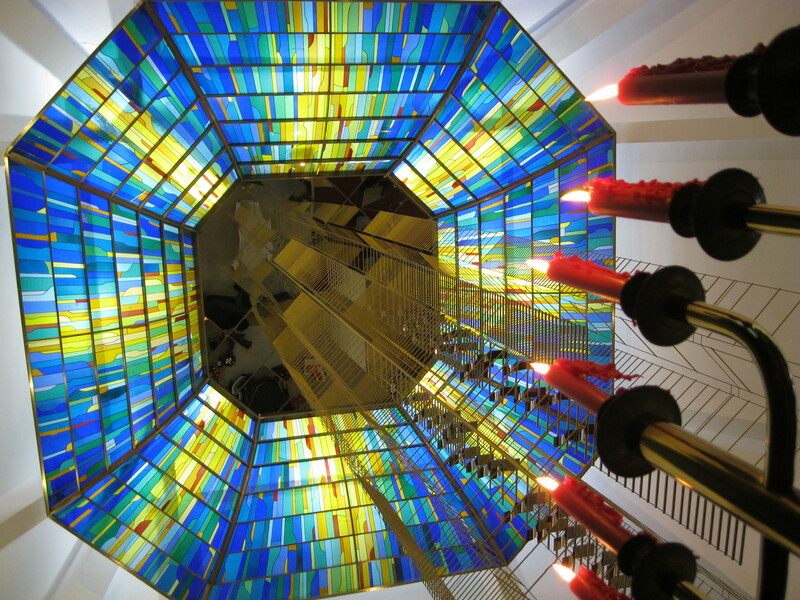 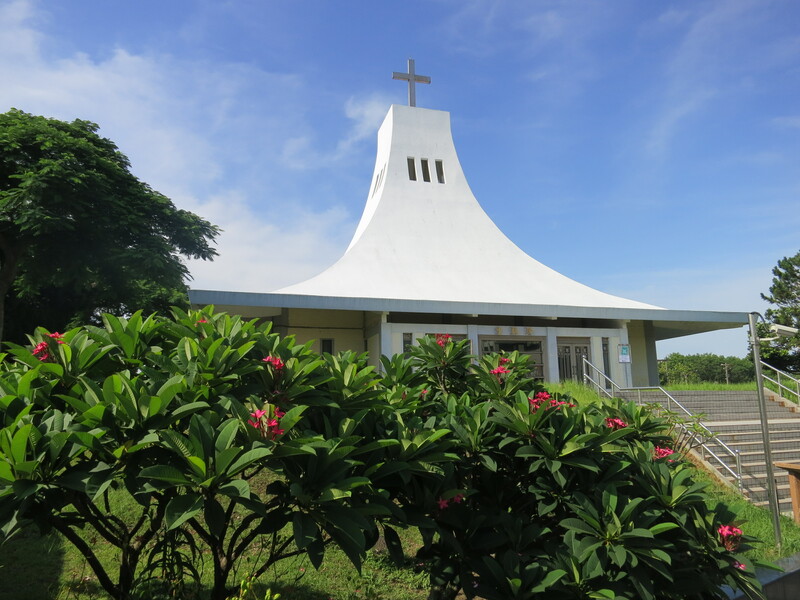 Previous PostHappy Easter @ Advent Church!Next PostTaipei’s Amazing Upside-Down House @ Huashan 1914 Creative Park! 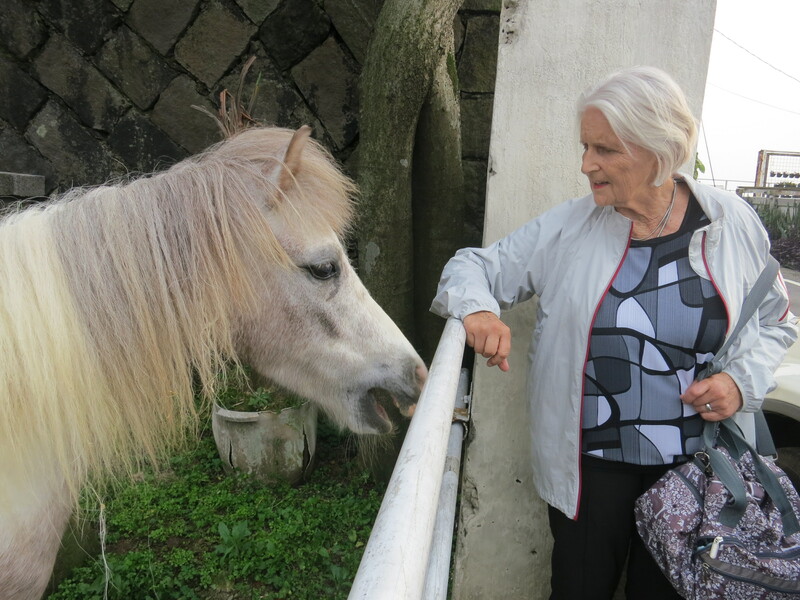 It was my joy to meet this incredibly fit Catherine of 82-yr young. 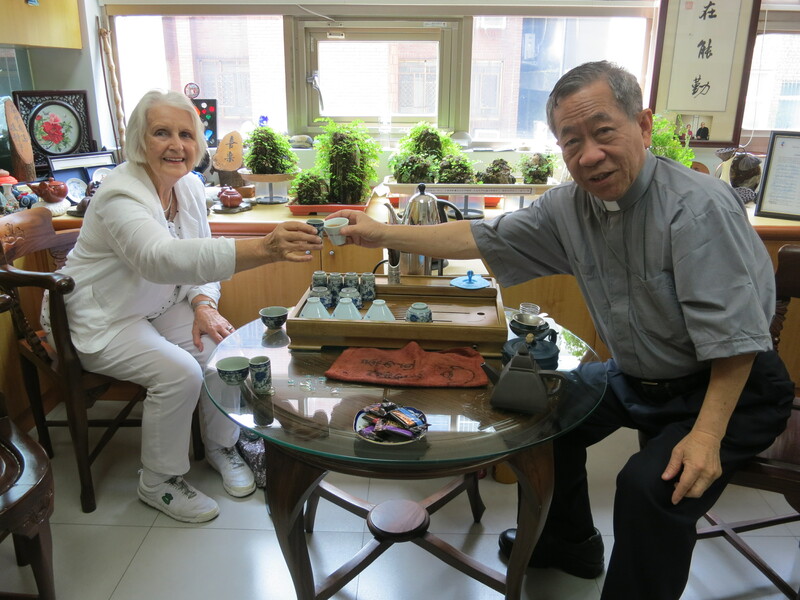 I found out that her father and brother were also called Victor and that her daughter-in-law is also called Jennifer, which is my daughter’s name.